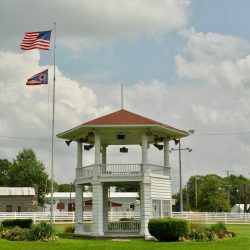 Entering it’s 29th year, the legendary Brown County Bluegrass Festival, takes place annually at the Brown County Fairgrounds in Georgetown, Ohio. 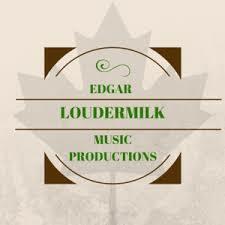 The dynamic team of Edgar Loudermilk, Scott Mehaffey, and Seth Carkeek have pulled together the very best talent, venue, and special events required for an enjoyable bluegrass festival experience. Festival Seating–There is plenty of room for lawn chairs on the infield of the equestrian area of the grounds (just in front of the covered stage) and a large covered grandstand directly behind the infield for shade seekers. Year in and year out there are many return visitors, in addition to many new faces as our “family friendly” festival continues to grow. The lineup is always first class with three straight days of some of the hottest names on today’s bluegrass music circuit taking the stage, with the stellar sound and lighting crew of GBS Productions making it an enjoyable event for all. The Brown County Bluegrass Festival is rolling into it’s 29th year and the tradition continues of putting the “best in the biz” on stage! Oh, and did we mention campground jamming?! Music, non-stop all week long! Tune up your fiddle, bring along your banjo, get out the guitar, bust out the bass, and make tracks with that mandolin to the Brown County Bluegrass Festival. Pick a tune, sing a song, catch up with old friends, and make a few new ones along the way! Come be a part of the Brown County Bluegrass Festival family!